FAQ I'm new to 3D... where do I start? Alright fellas... lets start putting together some 3D noob 101 info. 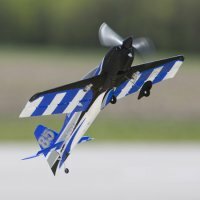 Starter planes, best radios with room to grow, best planes to start, etc. Joe I am putting together a 71 slick with a OS GT-33 engine. Did you have to put the rudder servo in the tail to get the CG right? Any other set-up tips to get the correct CG with the OS engine? Also on this set-up what size fuel tank did you use? Wing Area: 590 sq. in. Anyone from here going? I'm planning just for a day trip on Friday. 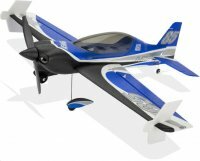 Can anyone recommend an airframe for an O.S. FS-70 Surpass? I have an O.S. FS-70 Surpass four stroke engine I bought back in 2003. I would like to move this into a nice 3D capable plane. I have been having trouble finding a suitable airframe to put this in. So many out there seem to be setup for electric. joe do you use a smooth throttle stick or a rachet style? hey Joe i was wondering if you use a heli style of throttle or a plane style,also do you use Futaba's heavier springs or the stock ones on your sticks.